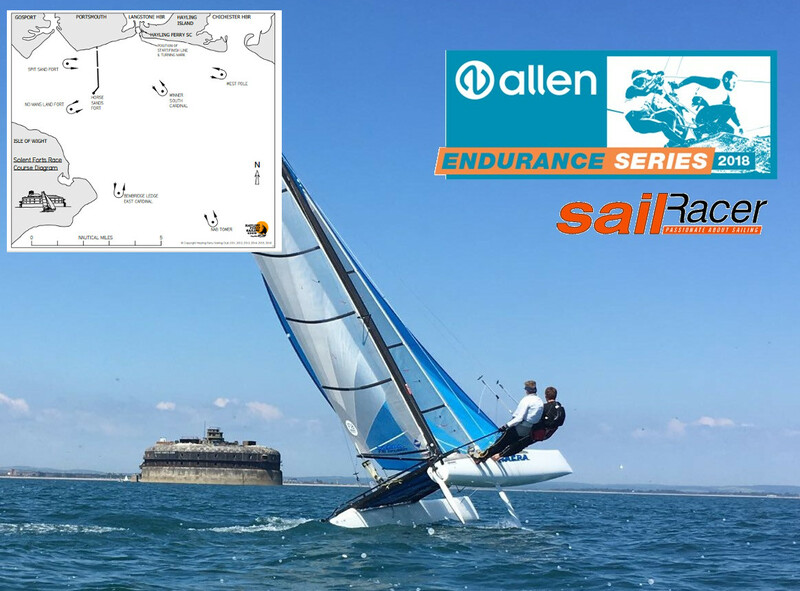 Enter Now The Solent Forts Race is a long-distance event for sports catamarans and fast dinghies set in the Eastern Solent, with Hayling Island and Portsmouth to the north and the Isle of Wight to the west. This race has a unique ‘time out’ feature that allows boats to take an optional 30-minute break during the race. This time may be used for a comfort break or for tactical purposes. More details of the event are provided in the Notice of Race available from this website. The weekend entry fee includes entry to the Club’s Band-on-the-Beach event on Saturday night, including a hot meal. A bar will also be available at this event. The venue will be Hayling Ferry Sailing Club, located at the entrance to Langstone Harbour on the southwestern corner of Hayling Island. The Club is small and friendly with one of the best locations and sailing areas on the south coast. The Clubhouse is positioned amongst the sand dunes on the southwest corner of Hayling Island, within a Site of Special Scientific Interest. 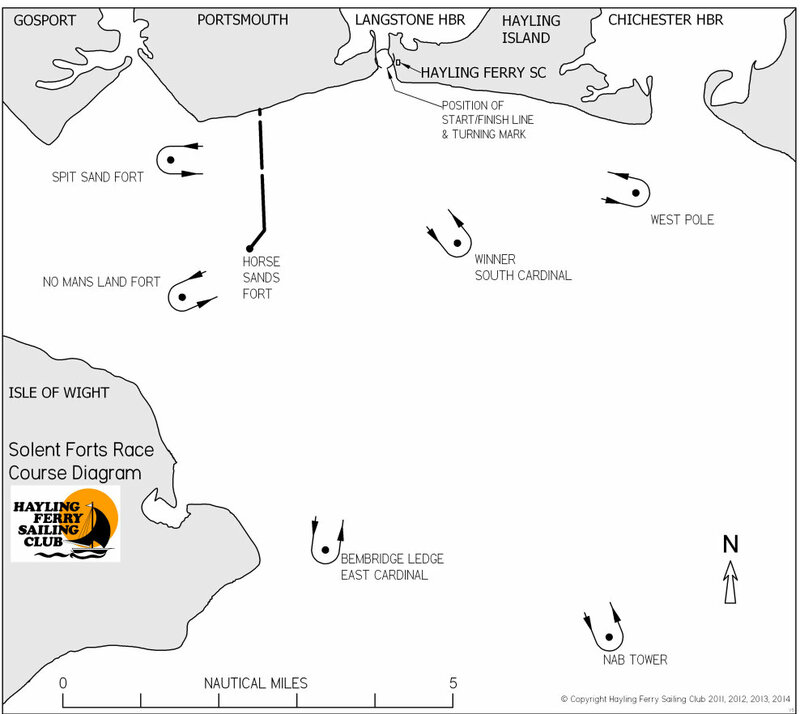 Sample course diagram for the Solent Forts Race.